For this week's sketch we wanted to let you in on the BIG NEWS!!! 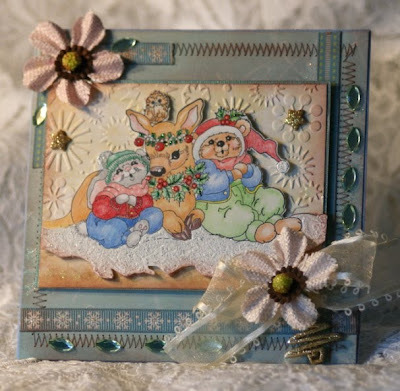 You all know we are having a BLOG HOP December 8th-15th and you have been helping us spread the news for that. We really appreciate your help. Please continue to do that each week until the launch of the blog hop as our prize patrol has been out viewing the Logo in your side bar. We have lots of stuff going on here, so be sure to check out the “General Rules” for all the details. Please check back Weds for our MMSC27 Bonus winner and our Holiday Logo winner this week. I would like to thank our players because, your entries each week inspire so many people. I, as well as the DT would like to thank you for giving us the opportunity to view so many incredibly talented card artists. You have till Midnight EST 11-17-09 to get your MMSC27 entries in to qualify. One winner will be drawn for our Bonus giveaway on Wednesday, so be sure to check back for that. If you miss the deadline, you are still welcome to link up to Mr Linky, but any entries after the "LAST CALL" will not be in the drawing. NOW FOR OUR WEEKLY BONUS PRIZE Fran from the Frantic Stamper Inc. is the sponsor of our Weekly Bonus Prize Winner. 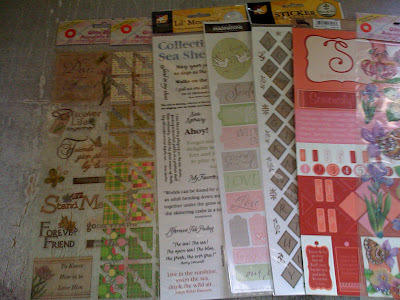 You can visit Fran at her store at the Frantic Stamper Inc, your #1 source for rubberstamping and scrapbooking supplies. Friendly one-on-one service since 1996!! You can read about their store upgrading to a 6000 square feet warehouse with many new products at Frantic Stamper Happenings. 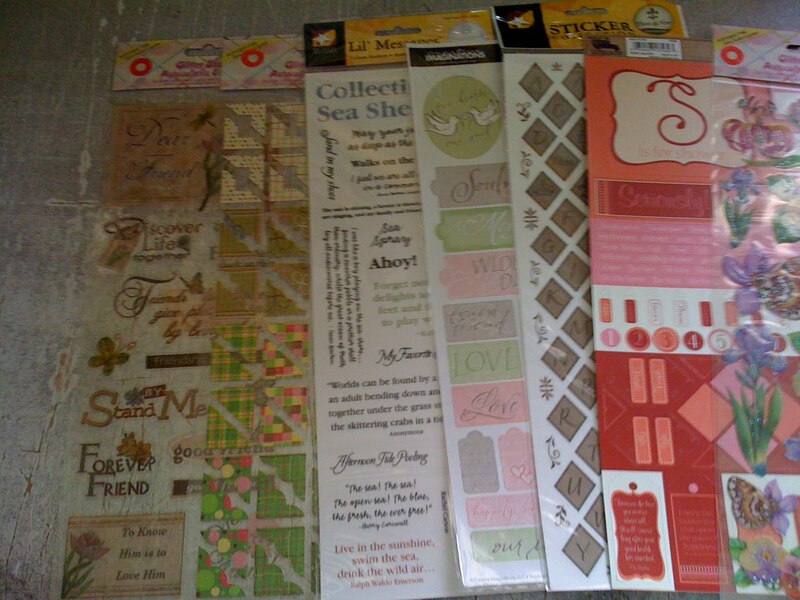 Fran is offering this sticker package worth $20 to this weeks Bonus Winner. 2. The “Midnight Madness LOGO BADGE/LINK” should be displayed on your blog. 4. 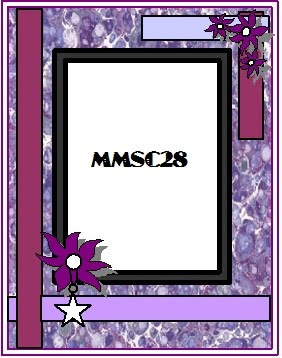 Tag with MMSC28 when uploading to galleries. 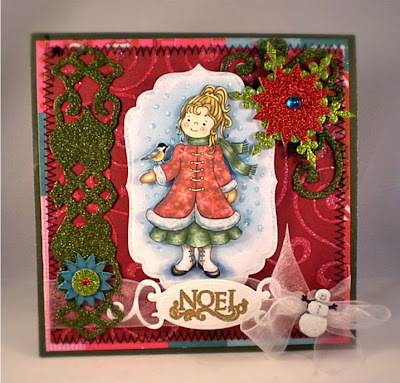 Great Post Carol, and great looking and festive cards DT. Beautiful cards everyone!!! What a great sketch and thanks so much, it was really fun, I even made two and added them to my blog. Wow!! !What impressive CARDS from the TEAM! I will try to get to mine later tonight! I just love the DT cards! so beautiful! Great sketch! Been busy making jewelry lately, and have missed a lot of your sketch challenges, which are some of my favorites! Thanks for a good one. 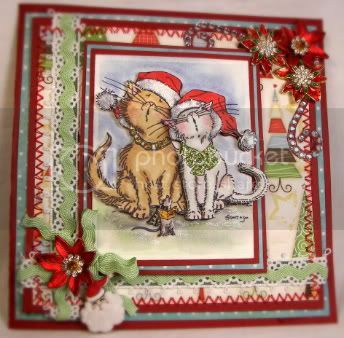 Wonderful DT cards too, of course!! Thanks for looking at mine. Thanks for the post, Carol! Well done! You're the BEST! I want to see a pic of your $3 toaster. Hope it lasts you until next years shopping spree! LOL! 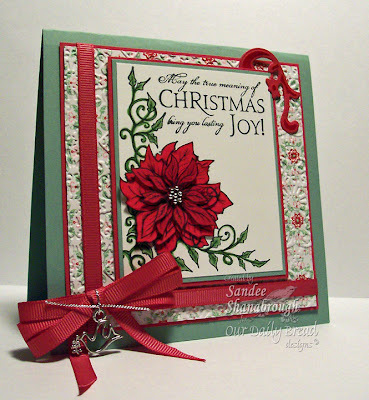 Woo Hoo, BEAUTIFUL designer cards this week design team!!! LOVE THEM ALL!!! I just linked mine up! Very nice sketch and very pretty DT-cards! Another set of beautiful cards. Thanks for a great sketch. Wonderful cards from the DT as usual, and another fabby sketch! Mine is with Mr Linky. Hello ladies, I am happy to have my card done for this week, I do my best but have to have laser surgery on both eyes soon - so I hope I don't miss a week!! Thank you for your wonderful comments, you have 'blown me away!' Thank you! Brains... I would love to have one! Great new sketch!!! wonderful samples by the DT... all so very gorgeous! Bwahaha! I just read MsPlum's comment. Maybe she needs to go over to SCS and join the Travelin' Dork Sisters in the Fun and Games forum. I happen to know a few dorks (as they are my sisters)!!! You ladies have outdone yourselves once again with your amazing creations!! Oh So BEAUTIFUL!! Thanks for another fun challenge! Marvelous work as always, just love the DT's work.Have a nice weekend. The design team really out did themselves this week! Fabulous job everyone!!! TFS. 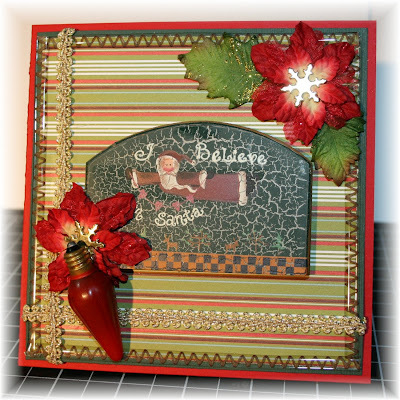 I went with a winter theme in Christmas red for little Edwin. Thanks for the sketch inspiration!! Wonderful sketch and samples, thank you! The DT cards are absolutely STUNNING this week! Thank you for another awesome sketch!!! I just posted my card. Every week the DT gives me such wonderful inspiration! Thanks everyone! 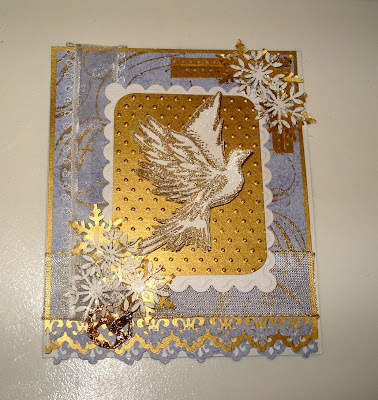 The DT's cards are absolutely stunning and breathtaking! It's really starting to feel like Christmas with their gorgeous creations. Fabulous sketch! Love everyone's cards this week! 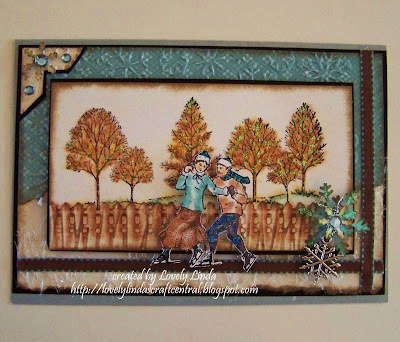 i almost forgot..but my entry is in my blog..
Beautiful samples with a fun sketch, as usual!! I need to file for an extension, lol!! I don't think I will get my card in on time but I will be back in the wee hours of the morning when it is finished and post it anyway. The better late than never motto runs fierce with me! !